SBI recently advertised how the fixed deposits offered by SBI under Section 80C helps you save tax and the effective yield. But this is pre tax return. The interest you get is taxable in case of above deposits. Since they have assumed tax bracket of 30%, your post tax yield would come to 13.33% (from 17.39%) for senior citizens and for others it would be 12.87% (from 16.64%). 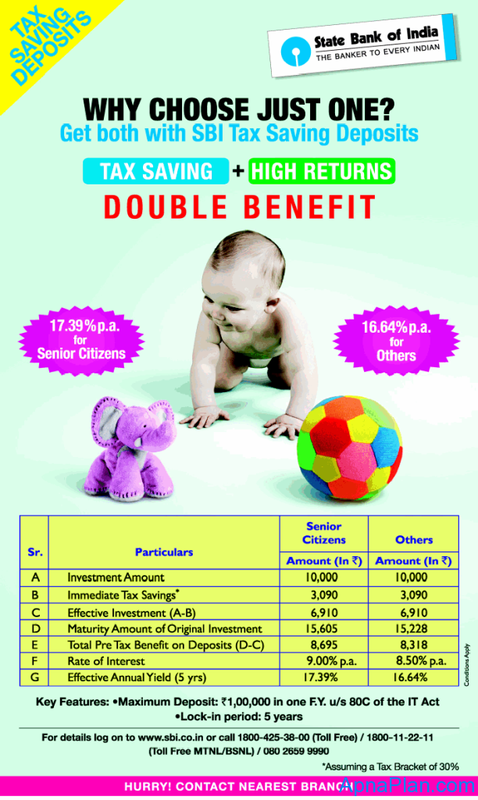 Though the investment may be good for you with regards to tax saving but the above calculation would help you to keep realistic returns expectations.